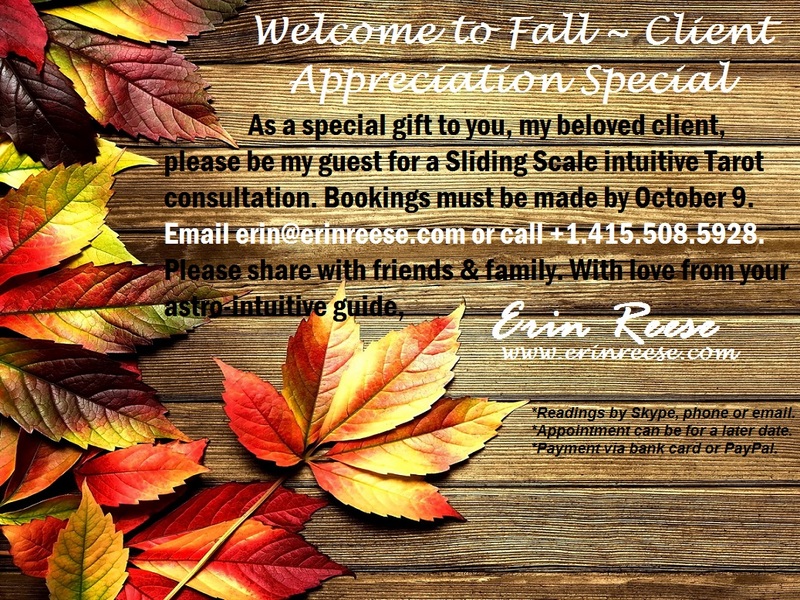 Aries Lunar Eclipse: Use Your Momentum! Today we have a Full Moon Lunar Eclipse in the cardinal fire sign of Aries. Aries the Ram is the sign of pure potential, the initiator, the sign of ‘let’s get going already!’ With the Aries Moon eclipsed by the opposing Libra Sun, we are faced with negotiation issues. How do we meet our own self-oriented needs while staying in harmony with the others in our lives? More than likely, your spouse, boss, business partner, client, friend may be clamoring for your attention. They want you to do it their way. But it’s not what you want. How to keep the peace? This really isn’t as difficult as it sounds once we get the hang of it. This is where the tool of momentum can really help us. If we tune into the deeper flow of our lives, we can see, sense, feel that we are already headed in that direction ANYWAY. Notice where your legs are taking you, where your actions are leading – you will see that you were destined to meet that new task head-on. The glyph for the planet Mars, ruler of Aries, is used for the sign of male – an arrow pointing to ascent, a call to rise to the occasion. Perhaps we are unsure if we should implement a long-term career change, or move residences, or start our own companies, or climb an actual peak. We may think to ourselves, Oh, I’ve got it pretty good where I am, there are a lot of benefits to keeping the status quo! Sometimes it is tempting to stick with the relaxed, passive thing. But sometimes, if we stop to really think, we realize that the tide was already taking us somewhere new, and we may need to start swimming a bit harder for best results. Learning to balance Self (Aries) with Other (Libra) means holding the tension between opposites. We hold the paradox in our consciousness, two opposing outcomes or realities at the same time. No situation is in perfect balance. We can live out one Reality while keeping the other one alive in our Awareness; the psyche benefits by not feeling like it is making a sacrifice because it hasn’t pushed the other aside and denied it. If we look in our charts at this eclipse, where 4-5 degrees Aries/Libra axis lies, we can see where we have to hold this tension of opposites. Remember, even while living in one expression of your self, you don’t have to completely deny the other arena. This is a significant lunation and whatever themes are popping for you now will likely be alive for you over the next six months to one year. Great energy springs from a correspondingly great tension of opposites. A few weeks ago, I climbed the second highest mountain in Indonesia, Mt. 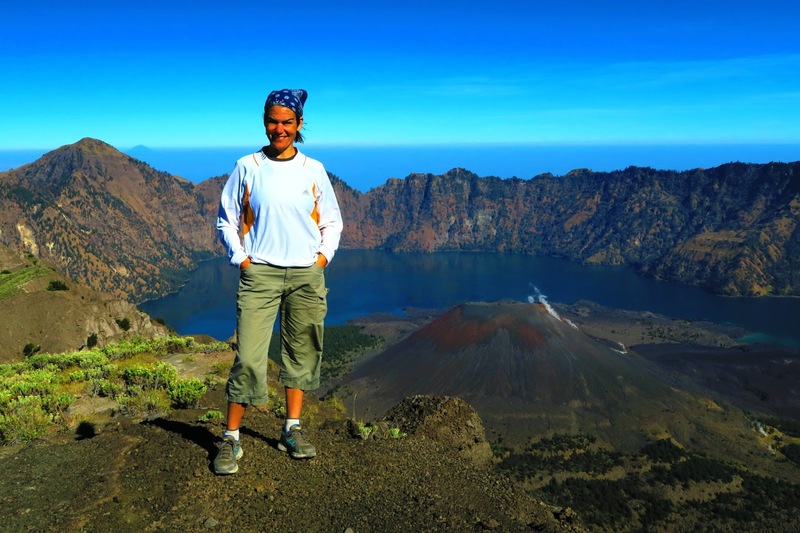 Rinjani, an active volcano on the island of Lombok. 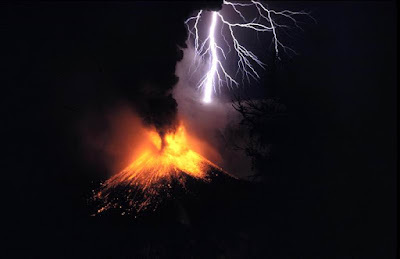 According to legend, the volcano is named after Princess Anjani, daughter of a regional king. Rather than be imprisoned by invading outsiders during a time of war, Anjani took to the mountain and remained in its immortal depths. She is a fire warrior princess. 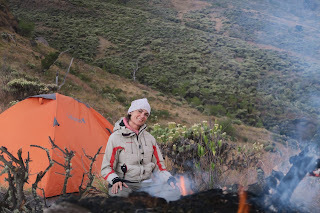 Gunung (Mount) Rinjani last erupted just ten years ago, in 1995, creating a new smoldering mountain cone inside the caldera at the top of the volcano (see photo). For me, climbing Rinjani was an example of using the power of Aries’ MOMENTUM. From my perspective, I was on holiday and wanted to spend more time relaxing, eating coconuts, and lazing in Bali. But my partner (with his perpetually adrenalized natal Moon in Aries) was determined to ascend the peak on an overnight trip, with his lover - c'est moi - at his side. I didn’t need to prove it to myself; I knew I could do it, I simply didn’t feel like it. But, after sleeping on it, I knew that it was actually going to be EASIER to do the HARD thing. I agreed to undertake the climb. Oh, paradox! My partner was pleased (Libra) as I rallied into fine athletic (Aries) mode. Thankful for all my power yoga classes and breath training, I slogged up that volcano steep step after steep step, slept under a trillion stars, and ascended the peak of the princess mountain at sunrise the next morn. Victory! Sometimes, we go where the momentum is taking us, even if it’s the harder path. Sometimes, powering up – full steam ahead – is what’s called for to keep things in balance. At this Full Moon in Aries, tune in to where you’re needing to roll up your sleeves or pull up your bootstraps. Scale the heights! 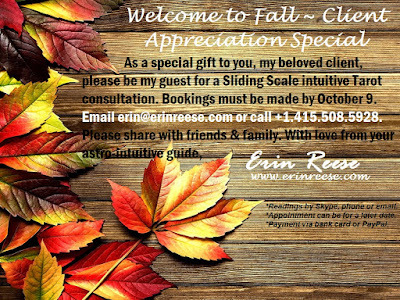 Welcome to Fall ~ Client Appreciation Special!